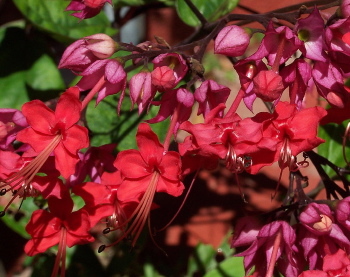 This beautiful hybrid is noted for its long lasting rosy red bracts and bright red flowers. Deep green oval leaves. 32F.